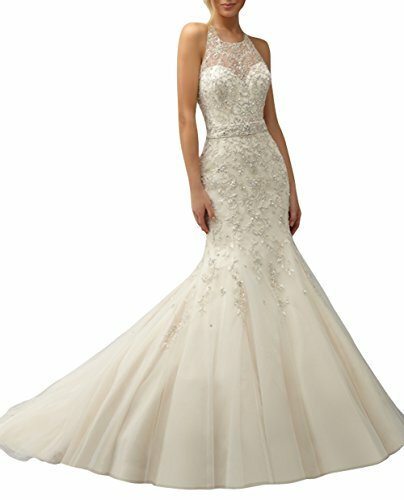 Mermaid, lace receives a romantic feeling, a slim mermaid gown that offers standout, beautifully placed hand-beaded lace with beading. 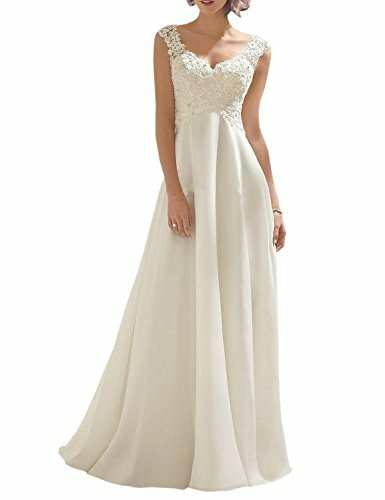 This wedding dress can be worn during Spring, Summer, Fall and Winter. The best choice is for wedding venues, such as beach, garden, outdoor, church. No matter where you are, the wedding dress will make you feel like you are in fairy-tale romance. 1. For accurate measurements of Bust, Waist, Hips and Hollow to Floor, please kindly refer to our Size Chart Picture. 2. Dresses can be CUSTOM MADE according to your measurements. You will pay an EXTRA charge for the custom-made. Welcome to JYDress store, we have more surprise waiting for you. 1. Detailed size info please check the image, NOT size info link. 2. It is US size when you place order. 4. Since computer screens have chromatic aberration, we can not guarantee that the color of our products will be exactly the same with the photos you see. 5. Because each dress is hand-made, there will be a little difference between the product picture and the product you receive. Buyer is responsible for return shipping fee. We will fully refund as soon as we receive your return(please do not use certified mail). Please print the return label and sent the dress back in its original condition in 10 days. We DON’T accept return if it’s Worn, Dirty or Broken. The newest style, it is the best choice for Wedding Dress, Bridal Gown, also can be dressed as Evening Dress, Prom Dress And Other Special Occasions. Normally, our handling time is 5 days after you placing an order, then Expedited Shipment will take 3-5 days, Standard Shipment will take 7-15 days. If you have any question, please contact with us without hesitation.